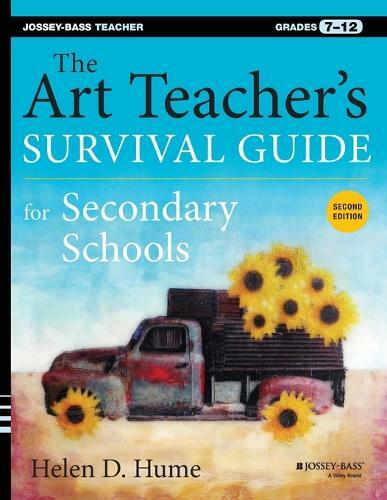 An invaluable compendium of 75 creative art projects for art educators and classroom teachers This authoritative, practical, and comprehensive guide offers everything teachers need to know to conduct an effective arts instruction and appreciation program. It meets secondary art teacher's unique needs for creating art lessons that cover everything from the fundamentals to digital media careers for aspiring artists. The book includes ten chapters that provide detailed instructions for both teachers and students, along with creative lesson plans and practical tools such as reproducible handouts, illustrations, and photographs. * Includes 75 fun and creative art projects * Fully updated to reflect the latest changes in secondary art instruction, including digital media and digital photography * Heavily illustrated with photographs and drawings For art teachers, secondary classroom teachers, and homeschoolers, this is the ideal hands-on guide to art instruction for middle school and high school students.